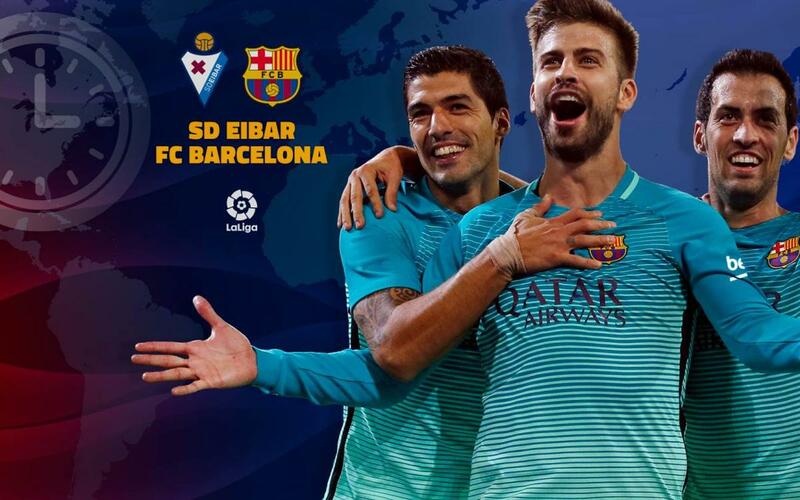 It's another trip back to the Basque Country as FC Barcelona are at Eibar on Sunday night at 8.45pm CET, when the Catalans will look to continue their run of excellent form in a La Liga matchup that has the potential to deliver three more big points in the race for the league title. The list below will help you find exactly where and when you can catch the game, including times, locations and TV channels. You can also listen to live play-by-play streamed in English on Radio Barça, as well as follow our exclusive, minute-by-minute updates on Twitter as the action unfolds.